This shop has been compensated by #CollectiveBias , Inc. and its advertiser. So, I decided to come up with a fun way that little miss could "help" mama while we hustled to get everything sparkling for unexpected guests. 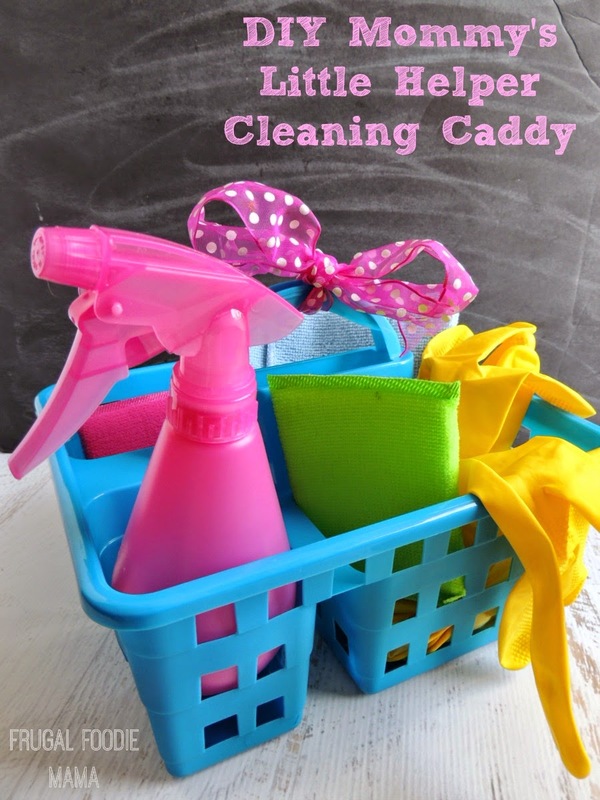 I created a cute DIY Mommy's Little Helper Cleaning Caddy for her with simple items you can pick up at just about any dollar store! 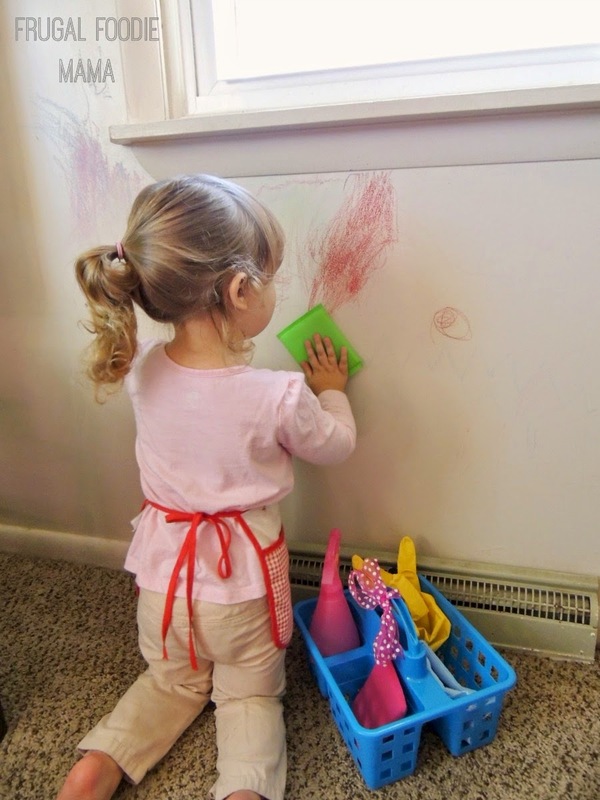 Little miss set to work right away on a bit of crayon art she decided would look best on our living room wall. Only focus on the rooms your unexpected guests will most likely be in. For us, that is the living room, kitchen, and bathroom. Close the doors to all other rooms and don't worry about those. 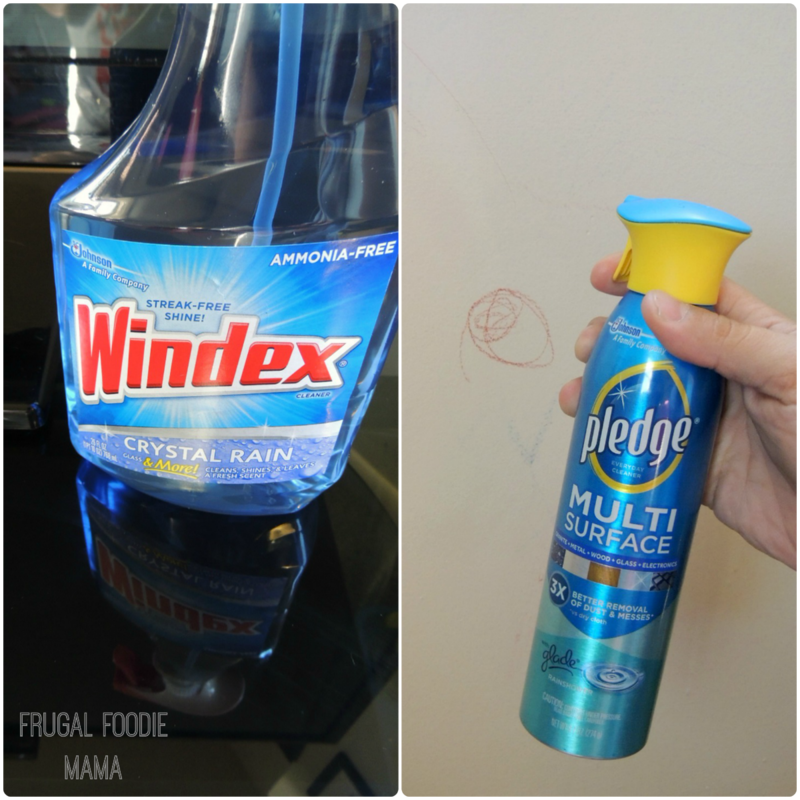 Giving everything a quick wipe down with Windex® and Pledge® Multi Surface will instantly get things sparkling in each room you are cleaning. Focus on those areas your guests are most likely to notice and that tend to collect the most dust- like the television screen, coffee table, counter tops, and mirrors. Do a quick run through with the vacuum cleaner in carpeted areas. 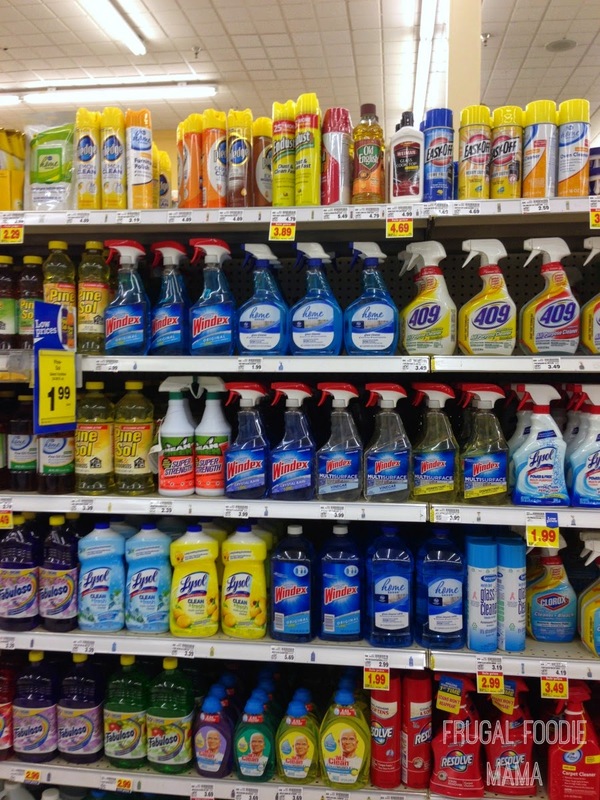 Alternately, you can give a quick sweep on hard floors- no mopping necessary! Trust me- no one will notice. Burn a candle or two. Pretty scents are always pleasing. Grab an empty laundry basket and quickly walk through each room you are focusing on and pick up stray books, papers, toys, shoes, etc. Now drop that basket off in one of those rooms with the closed doors. ;) You can always sort through it after your guests have left. 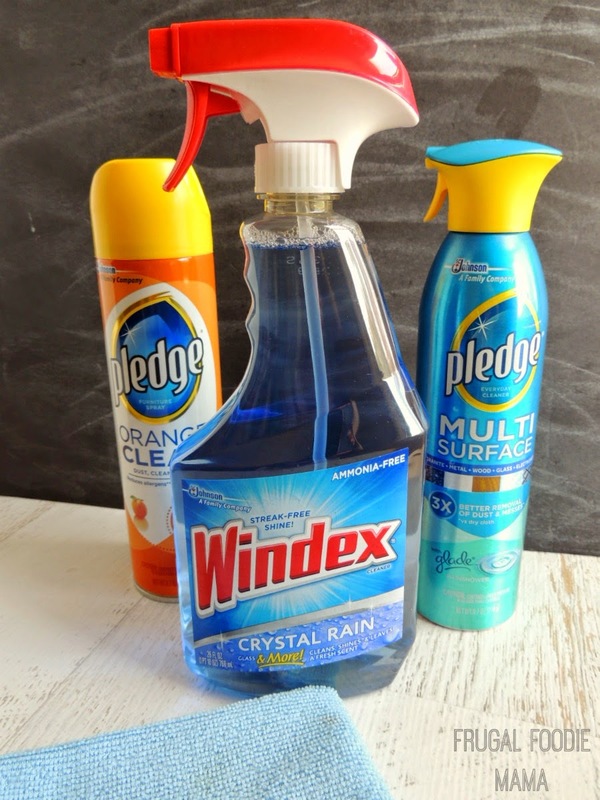 What is your top tip for giving your home an #InstaClean when unexpected guests pop in? 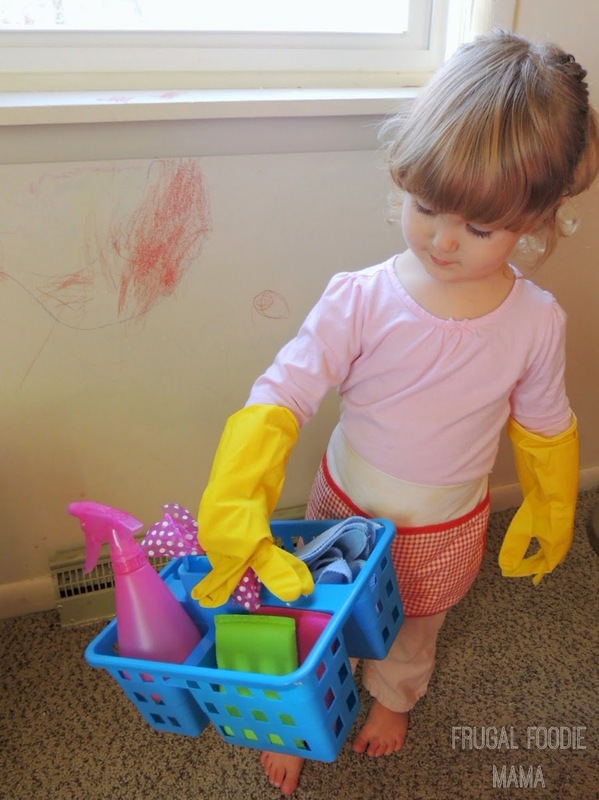 How do you safely get your little ones involved with helping to clean?